Nice photo of an older Porsche in action. I remember when the 914/6 and 914/4 first came out...very late '60's If my grey matter is right. I liked both, but of course the flat 6 has more punch and you don't see many of either anymore. Too bad, unique design. Looking at your picture...I like the tire setup...looks a little wider at the back. With the rear boxer engine and low to the ground profile and 'tired' the way it is...wonder how this sportscar handles...does it need a skillful touch at the steering wheel ? Competitive ? Nice photo of an older Porsche in action. They handle like a go cart. I've driven one of these (not this one) and they are a ball to drive. Go in deep, get off the brakes and squeeze the throttle, often getting flat before the apex. Track out on exit, and the car squirts very hard to the next corner. Point the steering wheel where you want to go and floor it. Sounds like great fun. Wish Porsche had continued to make them rather than stopping production on this model. I'm a great fan of the 911 (also 356) and I think the 914, especially the 6 could of been one of those long running models. The 914-6 is a rare bird - I think I've seen only one of them in my life. However, I test drove a new 914-4 back in 1970 and sampled that mid-engine balance; I didn't buy the car for a variety of reasons, but it planted a seed that stayed with me until I bought my first Boxster in 2009. Thanks for posting this terrific pic. The 914-6 is a rare bird - I think I've seen only one of them in my life. 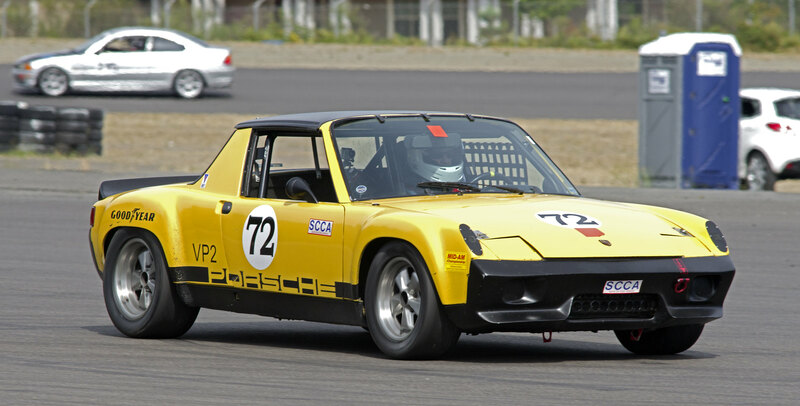 Years ago there was a guy in Portland, Oregon wedging Chevy V-8 engines into 914 Porsche's. Ground pounding go karts! I would like to add a plug for the autofocus of my camera/lens combo. Nearly every shot I made was perfectly focused, and nearly every perfectly focused shot was focused where I wanted it to be. Who says Pentax cameras aren't good for action shots? I had to give this a "thumbs up", as a 914-6* owner myself. *conversion car. I performed the six conversion in 1987, ~350K miles ago. Mine is a narrow body street car with a 2.4L 911T engine, not a 'racer'. I drive it all the time. Last edited by Moe49; 07-25-2018 at 10:02 AM. I wish they had something besides ovals around here, even if "nascar" did start here and the Woods brothers invented the fast pit-stop a few miles up the road, it's gotten too politicized and commercialized to no end which turns me off to the whole thing. Make them carry moonshine and I'll come back, and maybe I'll even get the old Malibu out and load it up for a run(kidding). After traveling all over as a kid, I ended up here and grew up driving these windy old mountain roads so the whole left turn thing makes me yawn a bit. VIR is the closest road course but too far away for me. So this is the perfect car for a novice to get started in? 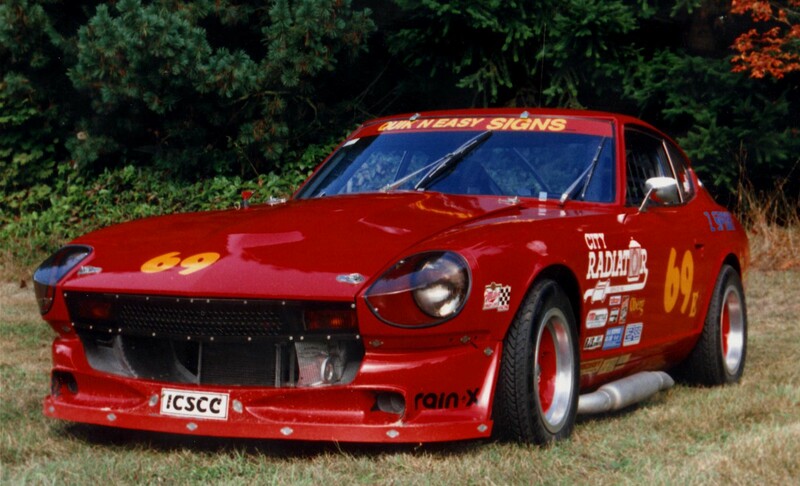 I don't know that it is the 'perfect' car, but it would get the job done. I did my novice program in the same car I still own, and won a championship with in 1997.